I don’t read short stories often enough. I wrote about this several years ago when I picked up a collection by Alice Munro. Thunderstruck and other Stories reminded me of this fact again. I had not heard of Elizabeth McCracken until I read Ann Patchett’s collection of essays This is the Story of a Happy Marriage, and Patchett mentioned in one of them that she and McCracken are writing partners. I ordered this collection immediately. 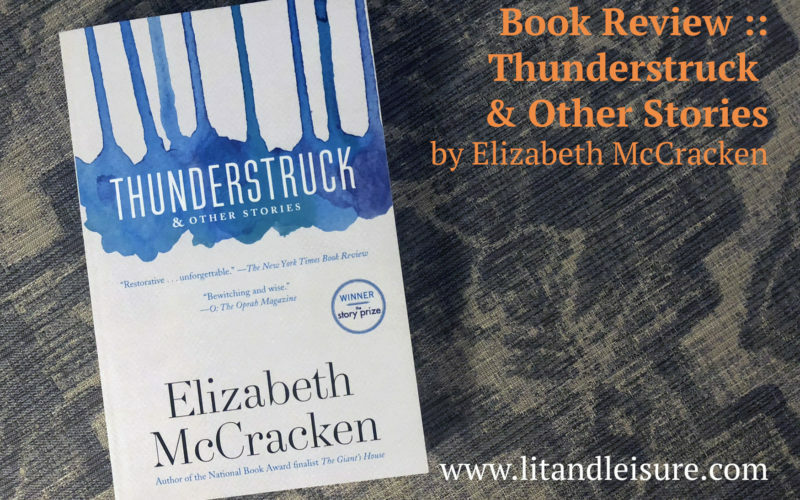 Thunderstruck is a collection of nine stories about people who are missing – some runaway, some die, others just disappear. It is an interesting thread for what appears to otherwise be unconnected stories. In Property, a story Geraldine Brooks selected for The Best American Short Stories, a renter has to navigate living among vestiges left behind that make the dwelling feel more like a museum than a house for rent. In Hungry, a grandmother (“The grandmother was a bright, cellophane-wrapped hard candy of a person: sweet, but not necessarily what a child wanted.”) is left in charge of her 10 year old granddaughter as her son and the girl’s father is being taken off life support. In The Lost and Found Department of Greater Boston a grocer grows sentimental for his part in recovering a child abandoned by his mother. When the child returns, now grown up, how each of them remembers the incident could not be further apart. 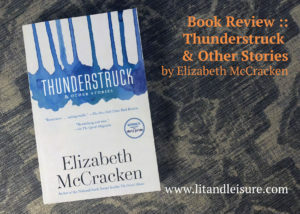 And in the title story, Thunderstruck, a family escapes to Paris to put distance between their wayward daughter and her mischief only to find out that it takes more than an ocean to thwart a teenager’s bad intentions. Winner of The Story Prize and long listed for the National Book Award, what also draws these stories together is how McCracken takes the ordinary of life and adds just enough of the extraordinary to create a collection of people her readers truly care about.